CapsiCool / 100 Caps - Nature's Way®. Provides the benefits of Cayenne (40,000 Scoville Heat Units/g). 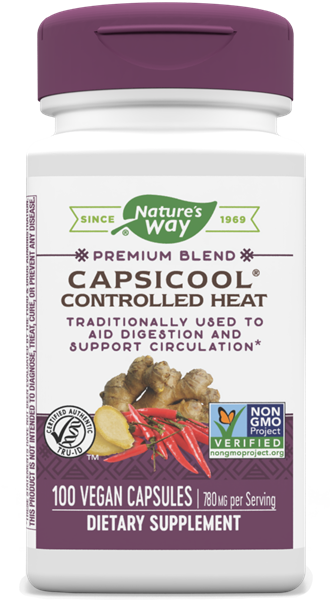 The CapsiCool® System uses Ginger and Glucomannan to gently control the heat of Cayenne.